It’s widely known that B2B marketers have three main professional challenges – new business development, lead quality and lead generation. Even though the results of the 2015 SalesForce Marketing Study of 2,100 global B2B marketers, seems like a long time ago now, we should note that these three main challenges for B2B marketers, are pretty much the same as today – new business development, lead quality and lead generation. However today, new challenges are quickly emerging, making B2B marketing more complex and a lot harder to execute. A couple of these additional challenges have fast become very important priorities, notably, how to deliver a consistent customer experience across all digital platforms, and where do new marketing technologies fit into the overall marketing strategy? There is now a bottom line expectation, a requirement from the C-Suite, that marketing needs to increase efficiency, have more accountable data-driven ROI, automate its processes more, keep expenses in check, drive more sales opportunities, and manage the brand experience better. No big deal - right? It's definitely complex and you have to know what you're doing. So let's look into just two of these. As marketing technology proliferates, there seems to be something new coming out every day, the choice of which technology to adopt and implement is becoming much more difficult, and getting your team to learn how to use new technologies effectively, is definitely a challenge. B2B marketers therefore need to become experts and authorities about everything to do with using marketing technology for any type of customer interactions, from AI, the CRM, social media messaging, chat bots, and marketing automation to name a few, all falling into the B2B marketers wheel house. And as is often the case, technology might not be the B2B marketers natural comfort zone, because many marketers in leadership positions come from a more traditional outbound marketing background where trade shows, networking sponsorships, advertising and product catalogues prevailed. 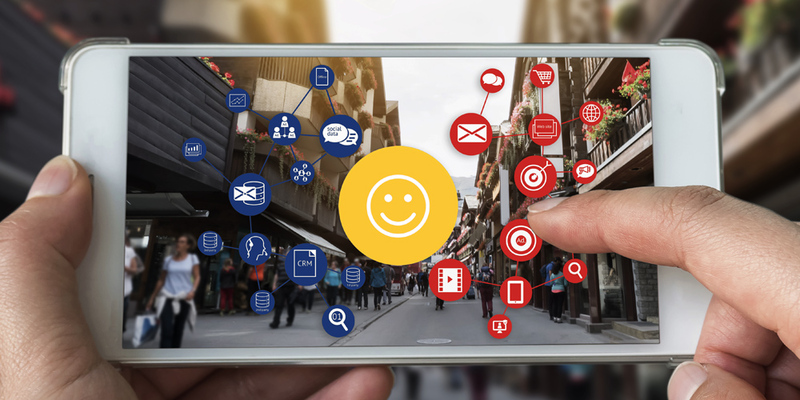 The delivery of positive customer experiences may not be new, but it’s marketing technology that’s driving a lot of new capabilities to engage customers in the right place at the right time. More and more B2B marketers now have the additional responsibility of managing the complete customer experience during the entire life cycle of the customer, from attract, engage and delight. And this often involves the designing of personalized 1:1 buying experiences, contextualizing, standardizing, and optimizing every aspect of customer engagement, with a positive and helpful omni-channel experience, and providing them with relevant content and information when and where they need it. For 2019 this means that marketers have to think bigger about their role with the customer, and more strategically than ever before. They will need to ensure that the customer is at the centre of everything - the brand, the website, marketing, sales, service and support, including a full understanding of how technology can wrap around the customer and successfully carry them through their journey and brand experience. Therefore, it’s the B2B marketing managers mandate that has expanded. B2B Chief Marketing Officers (CMOs) must now show stronger leadership, more strategy and more technical nouse to manage the three merging/overlapping areas of their business - marketing, sales and service. So with this increase in responsibility, what are the 10 top priorities B2B marketers must start to tackle for 2019? And don’t forget to leverage video – it should be used everywhere. Look at this year as an opportunity to become an even better B2B marketer. Go for it! THE BRIT AGENCY is a B2B Inbound Marketing Agency providing Inbound Marketing, Inbound Website Design and Inbound Sales services to companies across Canada, North America and the UK. We're focused on growing website traffic, generating qualified leads and closing sales, using Inbound lead generation and the HubSpot marketing automation process. THE BRIT AGENCY is a Certified Platinum Tier Hubspot Partner, a HubSpot CMS Certified Inbound Website Design Agency, a Shopify eCommerce Partner, and a certified "Google Badged Agency Partner". We have offices in Toronto and Barrie, Ontario, Canada, and in Salisbury, UK.